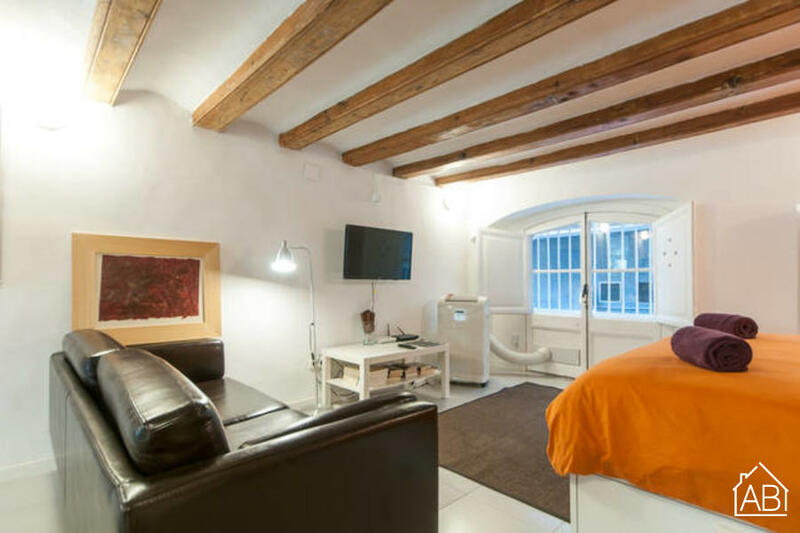 This cozy studio apartment, located near Plaça Catalunya is the ideal base for your time in Barcelona. By choosing this apartment, you will find yourself in the heart of the city, with easy access to the historic downtown and all of the popular sights and attractions in Barcelona, such as the luxurious Passeig de Gracia, any shoppers dream! There are also plenty of public transport connections nearby including many bus and metro lines, making it easy for you to move around the city. The apartment comes with a TV and a comfortable couch, ideal for relaxing after a long day. The kitchen is well equipped, allowing you to create your own home-cooked meals. One double bed can be found in the apartment, allowing up to 2 people to stay here. Complete with many modern conveniences, such as WiFi, a washing machine, heaters and air conditioning this apartment has everything you would need to feel at home.